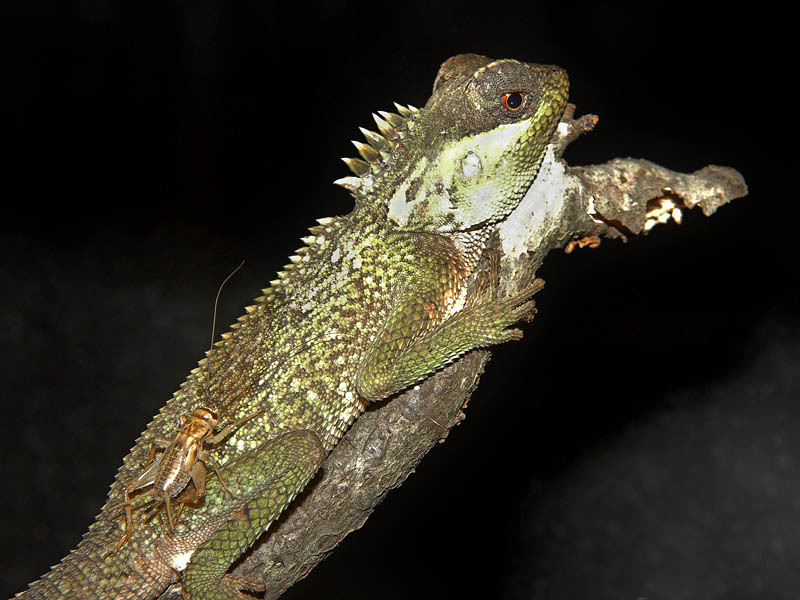 Mountain Horned Lizards or mountain horned dragons are a genus of medium-sized arboreal (tree dwelling) lizards native to Southeast Asia. These reptiles are characterized by a pair of large eyes, and a row of conspicuous dorsal spines at the back of the neck, reaching the tail. 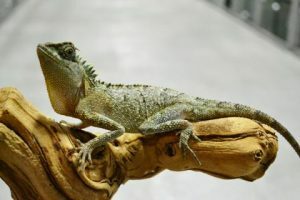 These lizards are often bred in captivity or semi-domesticated for the purpose of pet trade, and they make for some fascinating terrarium subjects. There are 11 species within the genus, some of which are A. armata, A. coronata, A. brachypoda, A. cardamomensis, A. capra, A. lepidogaster, and A. crucigera. The mountain horned lizards are territorial by nature, and they do not get along well with other lizards. They typically adopt a ‘sit-and-wait’ approach to catching prey. They perch motionless one-two meters off the ground and wait until the prey is spotted on the forest floor. When hunting, they may display quick, sudden movements and aerobatics. 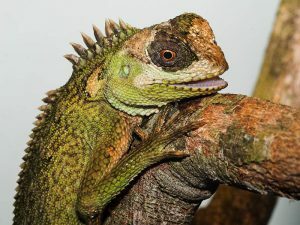 The breeding season usually starts in July when the male lizards display courtship by extending their gular sac and bobbing their shoulders and heads while hissing. If attracted, the females also join the males in their courting behavior. The males are known to chase their mate until she submits. 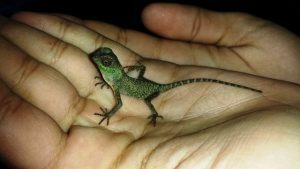 The female lizard digs a hole about 4-5 inches deep in the ground, where she lays a clutch of eggs 4 months after copulation while the subsequent clutches are laid 2-3 months after the initial clutch. The babies emerge from the eggs after the incubation period. The hatchlings measure 2.5-3.5 inches in length and weigh around 1-2 grams. 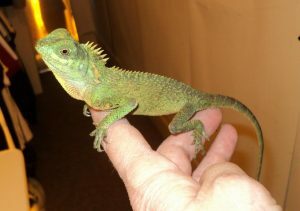 The juvenile lizards grow, becoming sexually matured at about 1 ½ years of age. 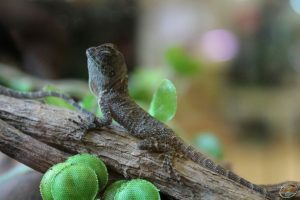 Acanthosaura capra is the most popular, easily kept, and the hardiest mountain horned lizard species encountered in the American pet trade. 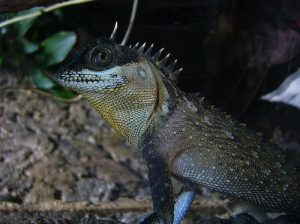 Some Acanthosaura species such as capra change colors with mood. When stressed they get very dark, and when sleeping their body becomes yellowish. 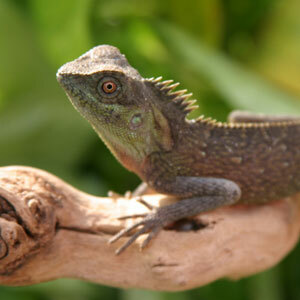 These lizards are also known to hunt fish without submerging their heads. 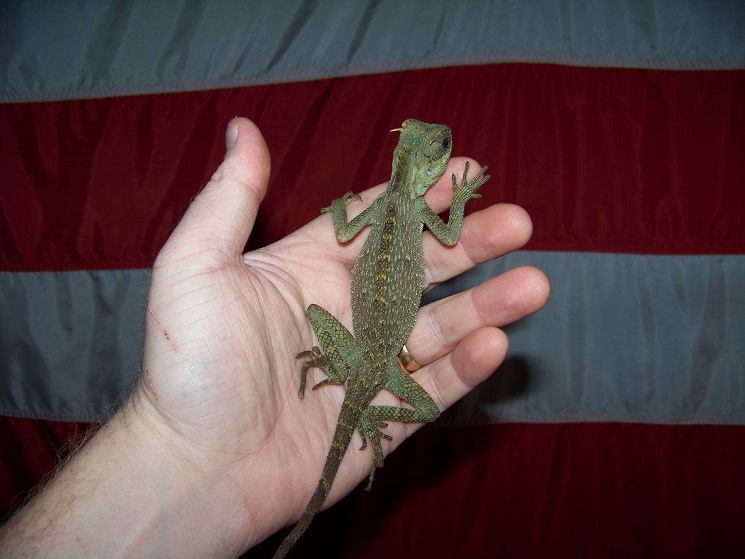 Mountain horned lizards cannot tolerate extreme heat. 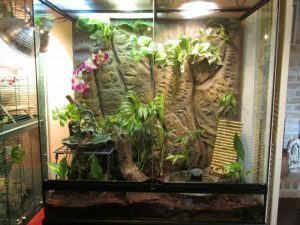 In captivity, special care must be taken so that the air temperature within their terrarium remains around 80° F while the humidity should be 70-75 percent. Published on May 26th 2016 by admin under Coniferous Forest Animals. Article was last reviewed on 26th May 2016.